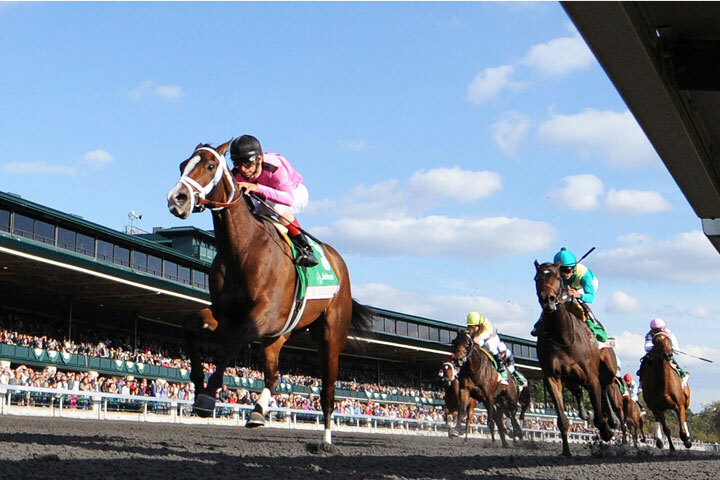 Keeneland Racecourse is situated in the heart of the horse capital of the world, Lexington, Kentucky. Considered as the mecca of all horse racing activity, Keeneland is a special locale for Eclipse and its partners to experience and Eclipse always makes its presence felt at the boutique Spring and Fall meets. The stable made its mark on the Blue Grass State and hasn’t looked back since In Lingerie achieved top shelf success when she carried Eclipse partner Gary Barber’s famous bubblegum-pink silks to victory in the 2012 renewal of the Grade 1, $500,000 Spinster.